Banks are taking XVAs past CVA and DVA and are starting to think of valuation adjustments collectively. Boston, March 21, 2019 – Since the financial crisis in 2007, banks have faced an operating environment of increased global regulatory scrutiny. These regulations require banks to take additional risk factors into account when dealing in over-the-counter markets. This regulatory change has led to the rise of a new generation of XVAs—a family of risk and pricing measures used to denote variations in valuation adjustments—that banks could incorporate in the pricing of securities. 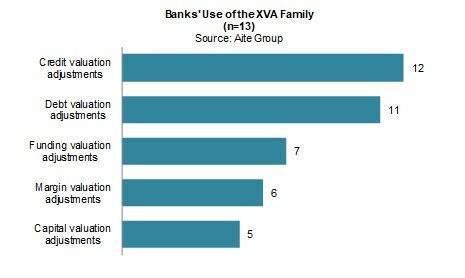 This Impact Report, the first in a sell-side risk series for 2019, examines how banks are incorporating the various flavors of XVA, their motivations for doing so, and the challenges they experience in their XVA journeys. The report also looks at how banks are using the underlying risk technology to meet complex internal requirements and regulatory demands. It is based on conversations that were conducted between August 2018 and February 2019 with 15 market participants at regional and global banks. This 33-page Impact Report contains 16 figures and one table. Clients of Aite Group’s Institutional Securities & Investments service can download this report, the corresponding charts, and the Executive Impact Deck. This report mentions J.P. Morgan.